Shakespeare Day property data from Knight Frank – 2b or not 2b? Monday 23rd April 2018 marks the 402nd anniversary of William Shakespeare’s death. The Bard’s 37 plays are set in 12 countries and WLB member Knight Frank thought it would be interesting to compare how property prices have performed both in his birthplace in Stratford-Upon-Avon, and also the locations of some of his most iconic plays, from Twelfth Night in Croatia to Midsummer Night’s Dream in Athens. Fittingly, Stratford-Upon-Avon, Shakespeare’s birthplace, leads the rankings, with average house price growth of 7.4% during 2017. Hamlet, set in the Danish town of Helsingør and widely-considered Shakespeare’s most commercially successful play, takes second place, recording annual price growth of 6.9%. In third place comes King Lear, set in Dover, with price growth of 6.8%. Twelfth Night, a great tale of unrequited love set in Croatia, takes fourth spot. The average price of homes in Croatia climbed 3.8% during the year to September 2017, the latest data available. Macbeth, set in Inverness, came in fifth. Homes in the Highlands region climbed 3.2% during 2017. Italy proved Shakespeare’s favourite backdrop with The Merchant of Venice, Julius Caesar and Othello all set in either Venice or Rome. Prices for both Italian cities were the group’s weakest performers, declining 0.3% and 2.7% respectively. 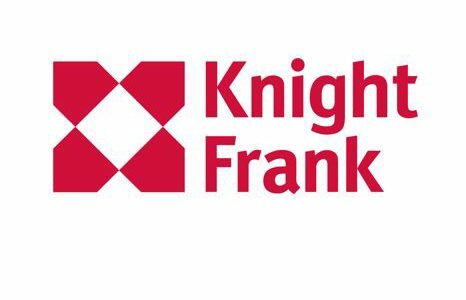 Knight Frank tracked the average price performance of homes numbered 2b across England and Wales, and compared them with homes numbered 2a, or 2c, or a combination of 2 and any other letter. During the five years to 2017, the average price of homes numbered 2b climbed 9.6%. The price of homes numbered ‘not 2b’ climbed 13.2% during the same period, suggesting the answer is ‘not 2b’. The data during a shorter time period – 3 years – added weight to this conclusion. The average price of homes numbered 2b climbed 5.1%, and those not numbered 2b climbed 9.7%. However, when we looked at the 2017 calendar year, there was a reversal of this trend, with 2b climbing 1.6%, outpacing growth of 0.1% for ‘not 2b’.